As excitement builds in anticipation of the upcoming Olympic Games in Rio de Janeiro, Brazil, so too does the threat to the country’s poor black population. The Council on Hemispheric Affairs (COHA) fears that recent changes in the event’s security procedure and interim President Michel Temer’s nonchalant attitude toward potential problems could bring a history of institutionalized racism and police violence to the surface—with mortal consequences. The government has publicized its focus on foreign threats to the Olympics’ security, but has failed to recognize the implications of increased security for marginalized favela communities. Fearing a terrorist attack at such a high-profile event, a private firm, Artel Recursos Humanos, was hired to ensure the safety of Rio and its visitors; however, the company was revealed to have no prior security experience when it hired only 500 of its promised 3,000 security personnel. As a result, the matter has been taken over by about 85,000 Brazilian police and military officers, which constitute “the largest-ever such deployment for a megaevent in the nation’s history.” While these measures are superficially promising in preventing terror, the real threat lies in the city’s already-high murder rate, particularly of black men by police—the same police whose forces have been unprecedentedly amplified. Accordingly, in the months leading up to the August 7 commencement of the Olympics, Amnesty International (AI) and other human rights bodies have documented an increase in police repression in the favelas of Rio, including several deaths. This increase is not unusual. When Brazil hosted the FIFA World Cup in 2014, “police killings in Rio de Janeiro state shot up by 40%.” As documented in another COHA article, already marginalized favela residents were among the primary targets of this violence, especially as they were forced out of their homes in an effort to beautify the city. The fact that this excessive police presence in Rio’s favelas continued for almost a year after the World Cup is also a cause for concern. Not only does the country’s poverty have an institutionalized color, but it is also linked to a distinct mortality rate; due to favela violence, black men have a life expectancy that is approximately 10 years shorter than the country’s average. 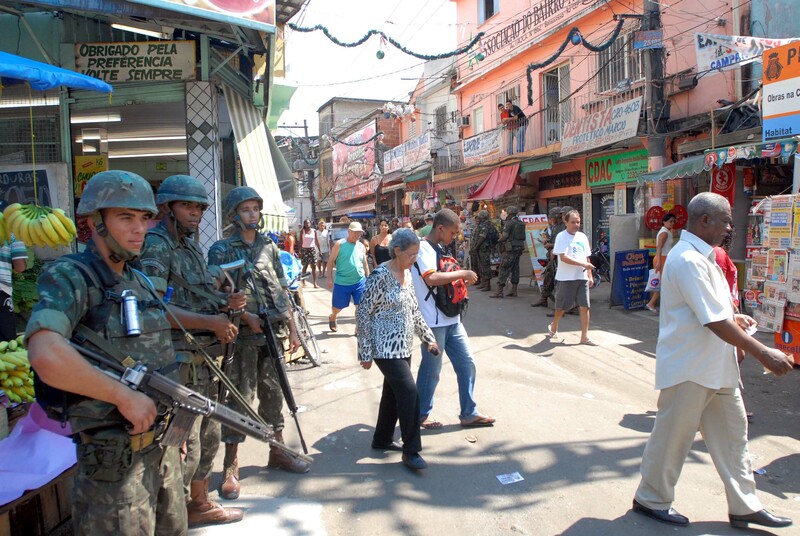 Gang violence is a palpable issue in favelas, but that cannot be the only attributable cause. Human Rights Watch reports that about 75 percent of last year’s killings by police were of black men, making for an approximate total of 484 black deaths. Despite increased public and international concern, interim President Temer has expressed confidence that “there will be peace” at the Olympics. It is speculated that Temer is using the Olympics as a way to legitimize his presidency after the impeachment of former President Dilma Rousseff. Although Rousseff’s own involvement in both the 2014 World Cup and this year’s Olympics has been criticized as well, Temer has failed to even recognize the problem, assuring reporters that “military police… will guarantee 100% security of Olympic venues” and conveniently failing to acknowledge other types of violence. Such nonchalance is even more evident in his refusal to veto May’s “General Law of the Olympics” bill, a move that severely limits the rights to free expression and protest. Unsurprisingly, Temer’s cabinet is composed entirely of white men, which effectively isolates him from the plight of less fortunate groups. Overall, COHA fears that the combined forces of institutionalized racism, increased Olympic security, and Temer’s denial of the situation’s peril will further subject black Brazilians to death by police. While the world’s attention is focused on opulent Olympic stadiums, located just hundreds of meters from the poorest favelas, it is imperative that attention be paid to such domestic danger as well. Long term solutions to systemic racism and police violence are equally as important as they are complex, but for now, the affluence of the Olympic Games should not overshadow the awareness of Brazil’s poorest and most-marginalized citizens. Without significant changes in the current administration’s security tactics, it is likely that Rio 2016 will result in a resounding defeat of justice for black Brazilians. While athletes from around the world will be fighting for Olympic gold, many of the city’s residents are already fighting for their lives. Featured Photo: Police in Rio. Taken from Wikimedia. Connors, Will. “Brazil Police to Take Over Security Screening at Rio Olympics.” Wall Street Journal. July 29, 2016. Accessed August 01, 2016. http://www.wsj.com/articles/brazil-police-to-take-over-security-screening-at-rio-olympics-1469814374. “Violence Has No Place in These Games! 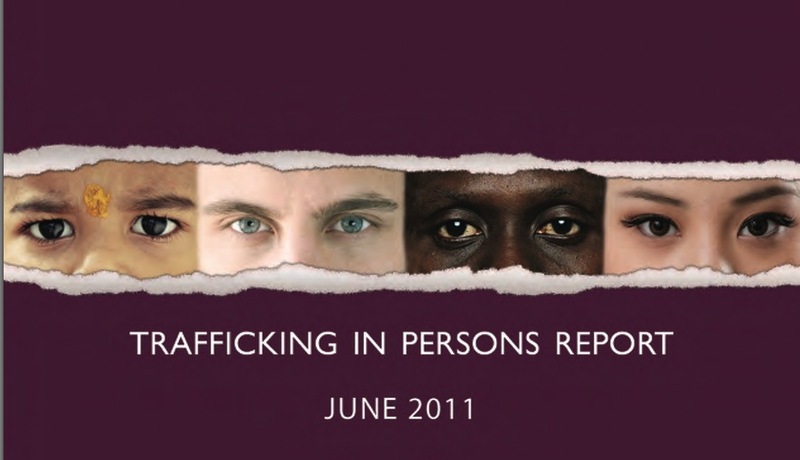 : Risk of Human Rights Violations at the Rio 2016 Olympic Games.” Amnesty International Charity Limited. Amnesty.org. Accessed August 1, 2016. “The Deadly Side of the Rio 2016 Olympics.” Amnesty.org. Accessed August 01, 2016. https://www.amnesty.org/en/latest/campaigns/2016/06/deadly-side-rio-olympics-2016/. Hilderbrand, Rachael, and Jonas Schlotterbeck. “Rio De Janeiro’s Bitter 2016 Olympic Evictions.” COHA.org. May 27, 2016. Accessed August 03, 2016. http://www.coha.org/rio-de-janeiros-bitter-2016-olympic-evictions/. Brazil in Black and White, dir. Adam Stepan, by Mike DeWitt and Adam Stepan, prod. Robert Stone, Public Broadcasting Station, 2007, DVD. “”Good Cops Are Afraid”” Hrw.org. July 07, 2016. Accessed August 01, 2016. https://www.hrw.org/report/2016/07/07/good-cops-are-afraid/toll-unchecked-police-violence-rio-de-janeiro. “Brazil on Fast-track Course to Repeat Epic World Cup Failures during Olympics.” Amnesty.org. Accessed August 01, 2016. https://www.amnesty.org/en/latest/news/2016/06/brazil-on-fast-track-course-to-repeat-epic-world-cup-failures-during-olympics/. “Brazil’s Hidden History of Racial Tension Will Be Hard to Hide during Rio Olympics.” Fox News Latino. July 28, 2016. Accessed August 03, 2016. http://latino.foxnews.com/latino/sports/2016/07/28/brazil-hidden-history-racial-tension-will-be-hard-to-hide-during-rio-olympics/. Trata de personas: ¿Qué derecho tiene EE.UU. de juzgar? November 30, 2011 COHA Comments Off on Trata de personas: ¿Qué derecho tiene EE.UU. de juzgar?